The Senior Scramble is new national tournament for seniors over 50. It's two-person scramble event. This event is a qualifier for the National Finals to be held in Phoenix AZ, in November. Bogies and Brews set for Friday, June 14. Join us for our first Bogies & Brews of the year on Friday, June 14. 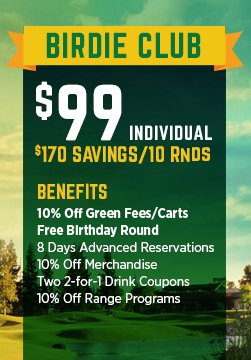 The price of $49 includes golf, cart, a featured craft beer of your choosing, and three on-course featured beer pour stations and a delicious BBQ with all the trimmings! Special Guest is always Blue Iguana Tequila. Craft breweries to be named. Mark your calendar. 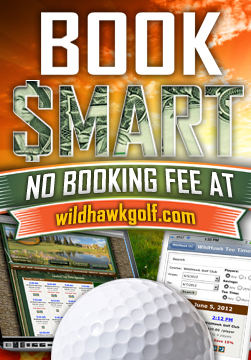 Check the summer schedule, WildHawk has several junior golf clinics coming soon. Player 1 and Player 2 camps are held through July. Also, we are hosting Nike junior clinics for the second year. 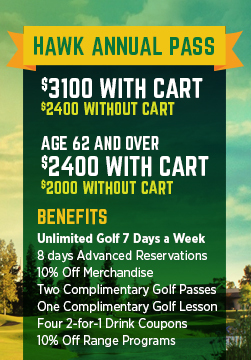 Call WildHawk at 916-688-4653 to sign up today. Yes, you've heard about the new rules of golf? Going from 34 rules down to 24? Read an abbreviated version of the new rules here. 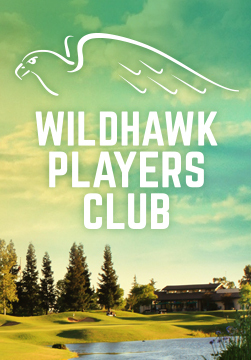 The new WildHawk Golf Club App is Here. The new app features GPS, mobile food & beverage ordering, book a tee time, loyalty program, mobile golf shop and more. Download the app and receive $10 off your next round! Spring Twilight League Beginning in April! Rollback Tuesday is back for 2019! Last year in celebration of our 20th anniversary WildHawk rolled back the rate to 1998. 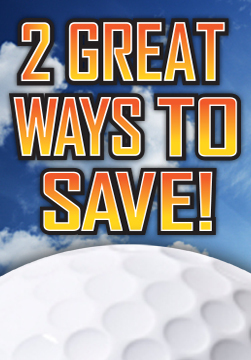 Green fee and cart was just $35 on Rollback Tuesdays. 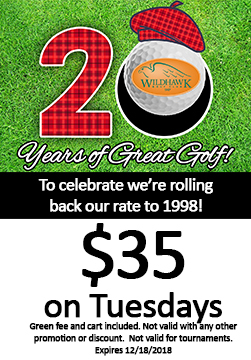 WildHawk is now celebrating our 21st anniversary and we are extending the great deal one more year. 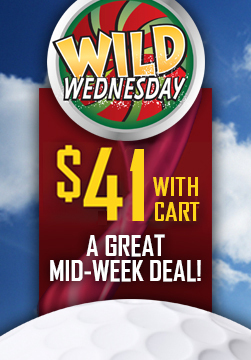 Some come out and play on Rollback Tuesdays for just $35. 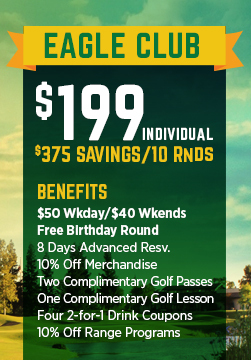 If you don't know already WildHawk offers two great day of week promotions. 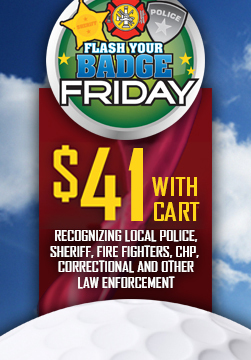 Wild Wednesday is only $41 for green fee and cart and if you are in law enforcement Flash Your Badge Friday is also $41 for green fee and cart. Book your time now.